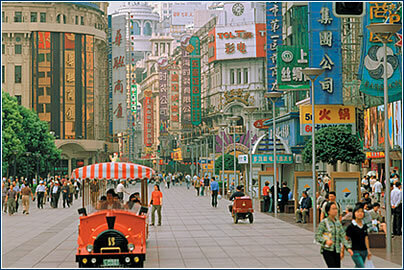 Perhaps the most evocative place for an outsider in all of China, Shanghai has been the inspiration for everything from lurid novels to cocktails. From imperialism, through colonialism and communism, this mysterious city has remained a cultural and commercial center since the 13th century. Best-kept secret: An evening walk through the Old Chinese Quarter. Favorite shop: No particular favorite, but it is nice to shop at Nanjing Donglu street. Here you can see there traditional dances of Dai minority. Advice: Take a local guide with you. Somebody who knows local customs and speaks the language. It’s worth it. Favorite night club: Try karaoke instead of going to night clubs; it’s a unique experience. Favorite attraction: Garden Yu Yuan in the northeast part of the old town. Best-kept secret: Enjoy a flower tea in the Yu Yuan Center. 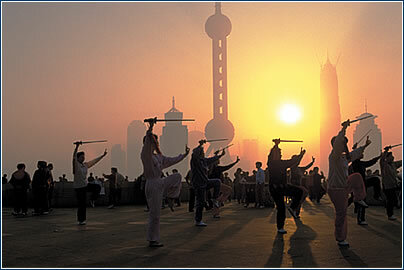 Advice: Start touring early, around seven in the morning – try Chinese breakfast on the street and don’t miss the traditional Tai Chi ritual, it will put you in a good mood all day long. 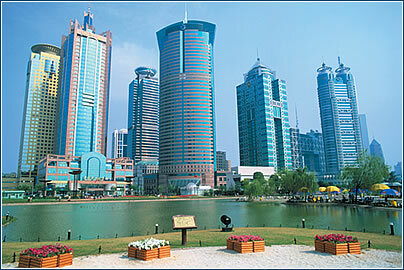 Basic factsLocation: Shanghai Special Municipality, China. Population: 7,500,000 (city); 16,730,000 (metropolitan area). Religion: 98% Buddhist and Taoist, 1% Christian, 1% others. Time zone: GMT + 8 (GMT + 7 from last Sunday in March to last Saturday in October). Electricity: 220 volts AC, 50 Hz; three-pin plugs are standard. Average January temp: 3° C (45° F). Average July temp: 28° C (77° F). Annual rainfall: 1,200 mm (47.2 inches). · Since its WTO membership, Shanghai has become the economic powerhouse of China’s modernization, and is pitching to replace Hong Kong as Greater China’s financial and maritime trade center. The growth of tourism (approximately 6%) and a developing leisure economy explain such foresight in retaining an attractive environment and characterful neighborhoods. 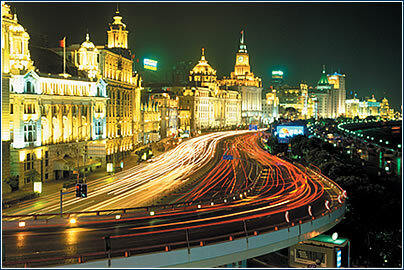 · Shanghai is the number one focus for foreign investment in China, having received over USD 40 billion – the greatest investment in any city in the world. International auto giants with local joint ventures include Volkswagen, General Motors, Ford, Volvo and Buick, whose products fill the streets. · Financial services are an important and growing sector of the local economy, with the combined capitalization of Shanghai and Shenzhen’s exchanges already exceeding that of Hong Kong. · The Pudong New Area (actually 1.5 times larger than urban Shanghai) is being developed into an international economic, financial and trade centers. Free trade zones and high-tech parks were opened here, while infrastructure improvements were matched with the opening of new bridge and tunnel links across the river. · Business is very formal, with executives exchanging business cards, bows and handshakes. Both men and women should dress in neutral colors and avoid pointing or excessive personal contact. · In many larger and older firms, a Party appointee, who has an honorary senior post in the company, will preside at the first sessions, then leave the real business to the operational management. · Foreigners are usually treated with cautious respect, although outsiders should not always expect a Japanese-style enthusiasm for foreign languages and culture. · Protracted negotiations can often be wound up neatly during a business banquet or an after-hours karaoke session.